During the weekends students are free to choose their program. The training areas are always open for those who wish to train extra. For those who want to experience the beauty of the surroundings there are plenty of opportunities to spend your free time doing so. Students who want to spend their weekend away from the Academy need to consult with school management before leaving. 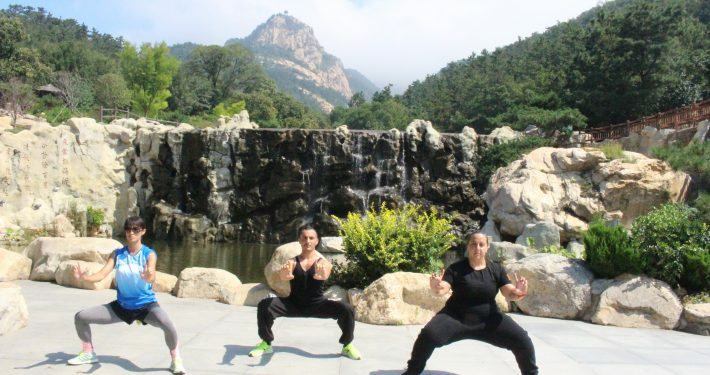 Students may also take some time off from training to travel in China during their stay. The staff will gladly help advise and offer support in reserving hotels/travel arrangements and recommending beautiful places to visit. Holidays in the Academy are: Chinese New Year, The Moon Festival, Academy Anniversary, Christmas and New Year Eve. There are three big supermarket in Feixian, You can get all the daily supplies here, and can get some import items here. You are also welcomed by many café in Feixian for relax. Coffee, deserts ,Chinese and western food are offered. Wuhou, and Shuiman are the café we recommend to go, students often go there for relax out of training. If you want adjust your meals at weekend, some restaurants with different Chinese cuisine style can be good choice. Feixian was also called Bi Guo, a vassal state in old time, where is the birthplace of Yan Zhenqing, one of the most famous calligraphers and politicions in Tang Dynasty. Taking the advantages from different aspects, he created his own writing style ”Yan style”, which made a great contribution to Chinese calligraphy . Calligrapher Yan is the pride of Fei xian people, they build Yanzhenqing park and Museum to memorize him at ruins site of Biguo. You can see his stone inscription in this park. Feixian is a city rich in peculiar rock. All the rocks came into being various shapes naturally long time ago. This park is a public rock exhibition for all the people, 24 hours open, also a highlight of Feixian. Linyi City is a famous cultural city with a 2400-year history and is located around 80km from the Academy. In the 1970’s, the Sunz’s Art of War and Sunbin’s Art of War that stirred the world was held here. It is the place of birth of many important men in Chinese history and culture; Zhuge Liang (Politician and Strategist of the Three Kingdoms Period) and Wang Zixhi (famous calligrapher in the Eastern Jin Dynasty) and many more. As a new developing modern city, Linyi has perfect infrastructure. Yanzhou-Shijiusuo Railway at the east section of ‘Eurasian Continental Bridge’ runs across Linyi City from east to west, Beijing – Shanghai Expressway passes the city from north to south. It’s very convenient for marine transportation due to Qingdao, Rizhao and Lianyungang ports. The modern Linyi Airport connects the city with large and medium-sized cities all over the country. You can also take advantage of the city’s developed commerce and trade, advantageous investment opportunities and favorable foreign-related services. Linyi City has the third largest wholesale and retail market in China. Confucius home, Confucius Tomb and Confucius Temple are place worth to visit in Qufu. Confucius was born in Qufu 2500 years ago, his thoughts is the dominant thought for all Chinese feudalism period, which also the origination of Chinese character and morality. These buildings are built at around 478 BC, but later many kings from different dynasty repaired it as his great contributions to educating people’s morality make most of the kings in Chinese history respected him. Now it’s the second biggest existing ancient architectural complex in china. If you visit there, also can get a English tour guide help you know more about Confucius and Chinese traditional culture. Zhidongshi Park is about 1k away from Tianmeng Academy. The students of the academy have the opportunity to train and enjoy this park for free (VIP cards provided by the Academy). 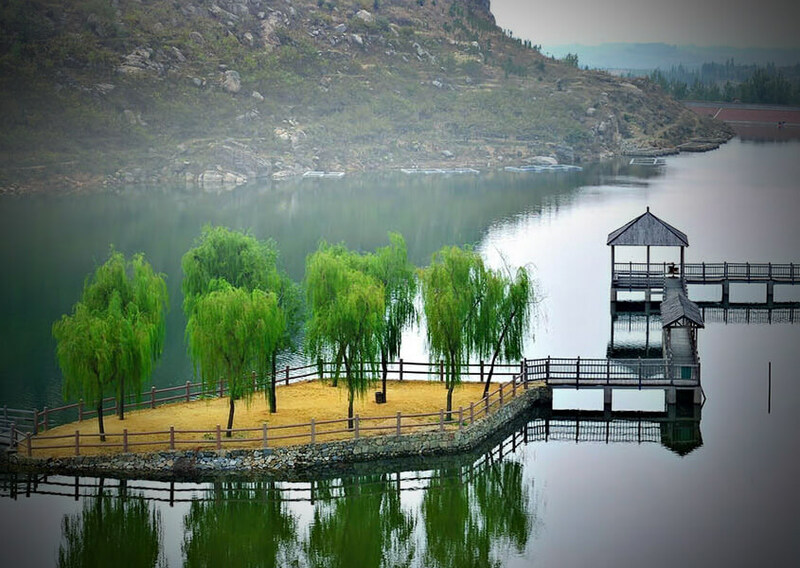 Access to the park consists of a huge lake, caves, a pagoda on top of the mountain peak, cable cars, rock climbing, boats, water-wheels and many other adventurous and seasonal activities. Tianmeng Mountain National Park is now a national AAAAA tourist area, a national forest park, a national geological park, a national water conservancy level tourist attraction. 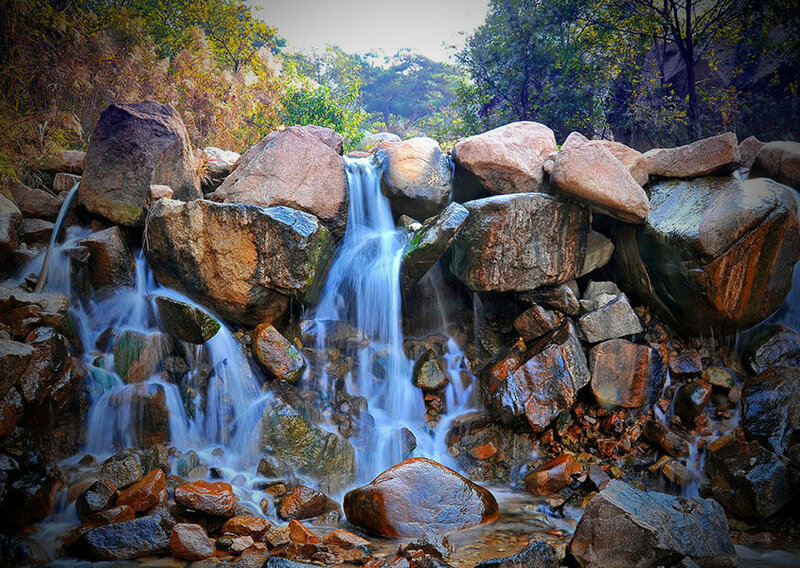 Located in the east of Yinmeng Mountain, it is the core scenic area and an important part of Yimeng Mountain. The total planned area of Tianmeng tourist area is 240 square kilometres with a core area of 96 square kilometres. It is a large and ecological tourist resort integrating mountain ecological tourism, sport tourism, folk custom and culture experience, ecological agriculture tourism and leisure and holiday travel. This is a place where the culture of eastern minority ethnic groups is originated and a core area where such groups live. It boasts such scenic spots as Yinmeng Mountain Canzonet Living Museum, world’s first pedestrian suspension bridge, first cultural plank road along a cliff in the north of the Yangtze river, Wanghai tower(sea-viewing tower), palace if jade emperor, glass viewing platform at Mountain Ta.